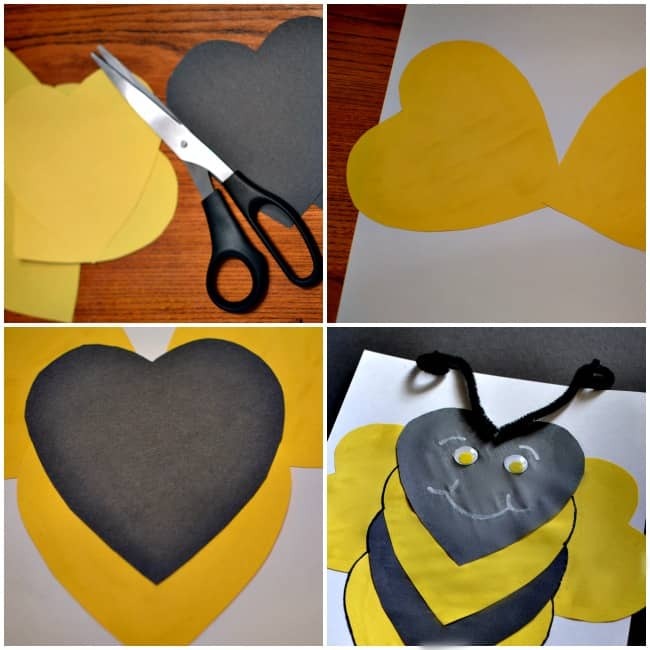 Today’s Bee Mine Valentine Card, Crafting with Kids! craft needs very few supplies but is oh so cute for Valentine’s Day. If you have been looking for a fun craft to make with the kiddos then definitely be sure to grab your supplies and get to crafting. This one is perfect for even the smallest of preschoolers. 1. Cut out 4 yellow hearts and 2 black hearts. I used a large heart cookie cutter to trace but there are lots of heart templates online if you don’t want to freehand one. 2. Glue on 2 yellow hearts to the cardstock base for the wings. We used elmer’s glue, however, if we were to make it again we would probably go with glue sticks to prevent some of the wrinkling. If you are unsure about what glue to use where check out this craft adhesives; types and applications. 3. Glue on the Bee’s body interchanging between yellow and black. 4. Paint on the face with the white paint marker and glue on the wiggly eyes and pipe cleaner antenna. 5. We also traced his body with a regular sharpie to give him some definition but that isn’t necessary. He is just as cute either way. 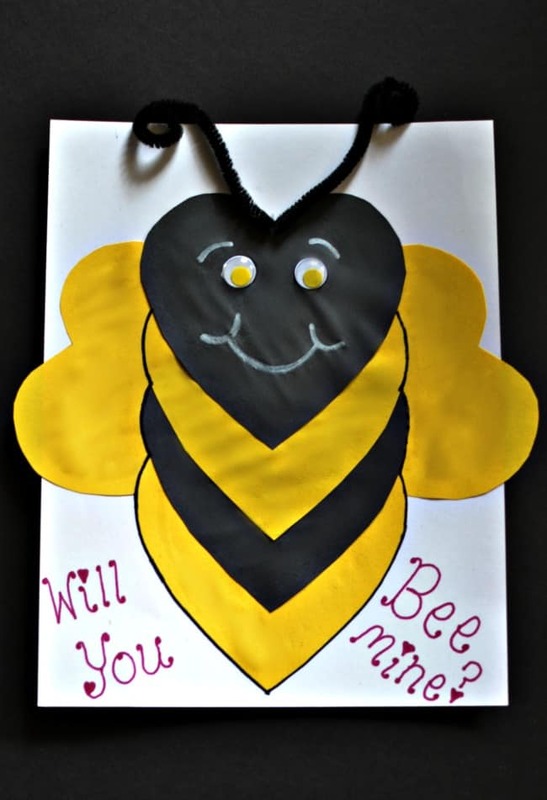 That is all there is to create these super cute bee Valentine cards. If you enjoy this Bee Mine Valentine Card post you will also enjoy these following articles. How to make a fort!